Most pipes don't look that interesting from this angle, and this one is no exception. Fixed it for you from my perspective. I've always loved this photo. 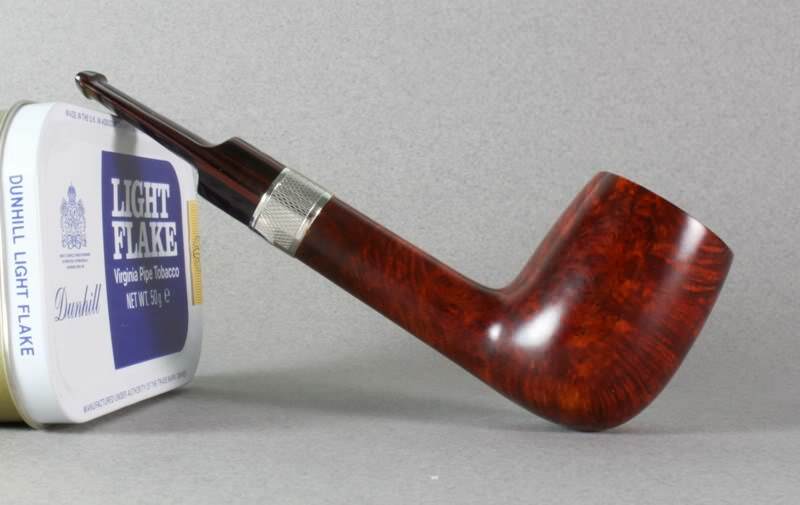 I owned this pipe for a short time. Isn’t there a joke somewhere with a bartender, a regular sized guy, a genie, a tiny little guy in a lumberjack outfit with a feather boa and high heels running around on the bar, and something about wishing for a 7 inch long Canadian with flame? Might be, but my druthers are not to think about that. I’ll try to get that picture out of my mind. I also enjoy the picture of the tobacco tin. James Upshall Dublin. 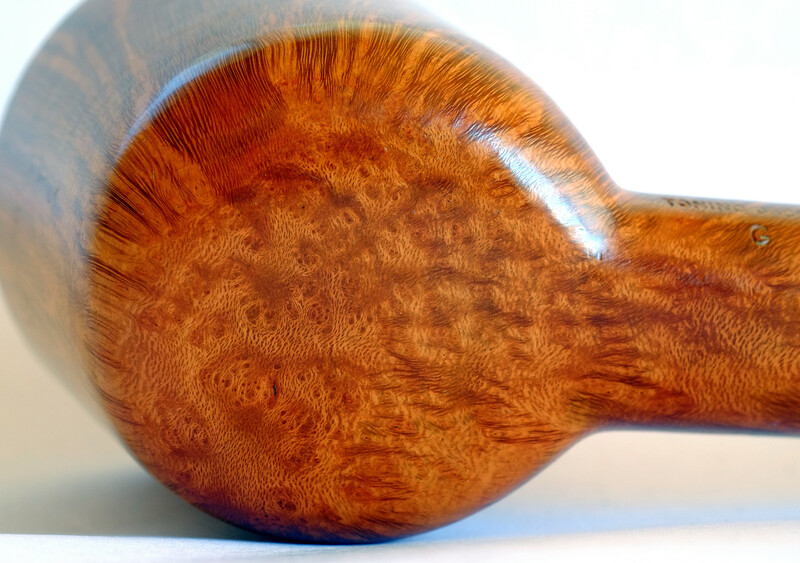 I almost never see absolute straight grain like this, and when I do, the price is out of this world. All the old, premium briar shrubs are gone. Is that the one with a pick up line that sounds like "particularly nasty weather"? 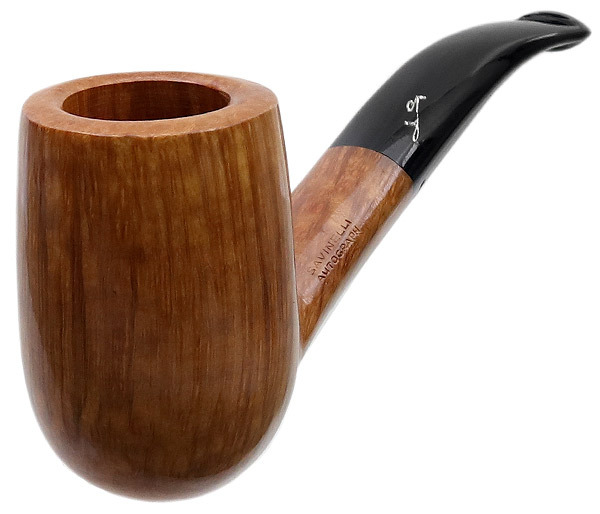 Savinelli Autograph Smooth Bent Billiard Grade (6) (6mm) (Unsmoked) at Smoking Pipes. 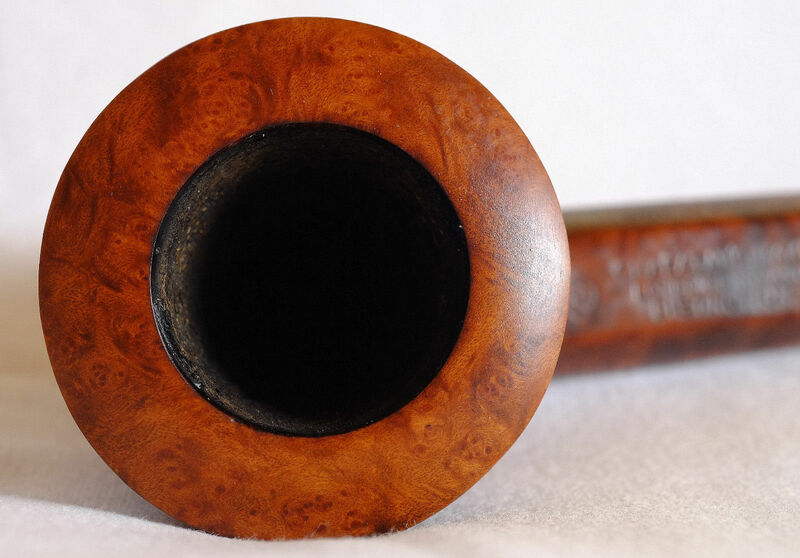 Mama Mia, thatsa nica pipa , but for $500? !